The UN Archives ensures that historically significant records are made available for a variety of research uses, including teaching purposes, legal proceedings, building plans, publications, television and radio programs. The records in our archives are unique and irreplaceable. By their very nature, archival materials are fragile and vulnerable to damage. If an archival document is lost, stolen, or irreparably damaged, the information it contains is lost forever. For this reason, we have developed stringent security procedures in ARMS. Archival material can only be consulted in supervised research rooms. The rules that govern how documents must be handled are explained as part of the registration process. 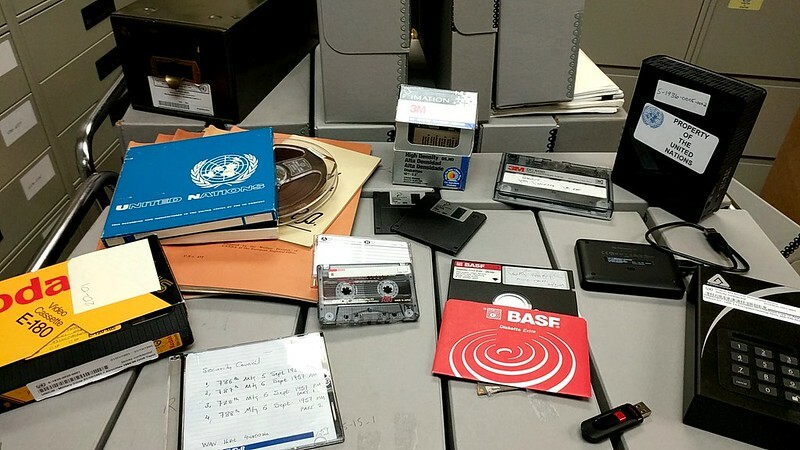 What's in the UN Archives? How do we organize our holdings? Records are transferred to the UN Archives from a variety of departments, offices and missions. All records from a particular department or office may not enter the Archives at the same time, but instead, transfers can occur over a period of time, even years. After transfer, the records are processed for use by the public. This processing involves an appraisal of the records to determine those that have enduring value, followed by the physical arrangement and listing of files in the group. These groups of records (known as series or fonds) are described so as to provide users information about what is contained within them. The UN Archives arranges and describes records according to both traditional archival methodology and the specific needs of the organization. While there are some exceptions, archives are generally organized by the creator (typically by departments, such as the Department of Economic and Social Affairs, or position and person, such as Secretary-General Kofi Annan). These are called fonds. Every record falls under the fonds of the department or person who created it. These are further broken down into series, which are based on a common function, such as correspondence, meeting minutes, human resources, conferences, or project files. Of course, being an archive that has been continuously operating since 1945, there have been different methodologies to organizing records over the years. We strive to remain true to the organizing principles of the time as well as provide the most accurate and standardized information possible.